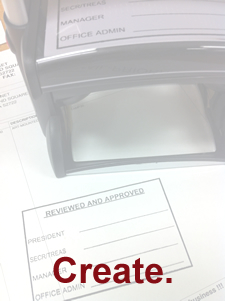 ✔ Great for office, address, deposit & check endorsements, signatures, weddings & more! 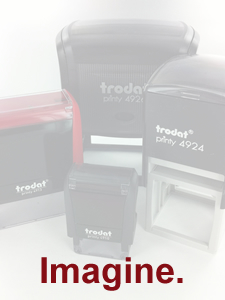 I thought my design would be too small and precise to be made into a stamp, but I was proven wrong. It has swishes and thin lines throughout and it turned out perfect. Thanks! 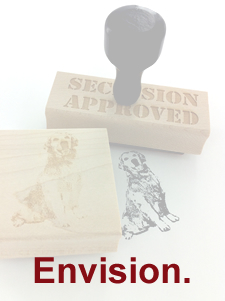 I purchased the stamp to imprint our business logo onto some wood for a holiday ornament idea. I wasn't sure if the logo would transfer well, but it transferred spectacularly and is even better than I had hoped. I bought the stamp to use for gift bags at our wedding. The stamp has a caricature of our faces with the names underneath. It came out perfect! Not only are we using it for wedding favors, but also thank-you cards, books, notebooks. We love it and will be buying more in the future to give as wedding presents. 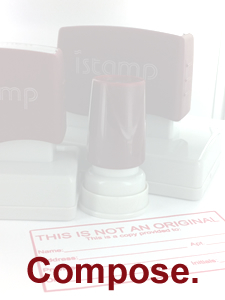 I purchased a custom stamp and after I completed my order, I realized that I had made a mistake. I immediately emailed them and told them my problem. They contacted me back right away and we got the corrected stamp ordered. They were very nice and very fast.